There are many people in Montclair, NJ that have taken the fear out of losing power by purchasing and installing a residential stand-by generator. It is very important to have a reliable system not matter what time of the year. Some people do not realize that their stand-by generators require maintenance or repairs until they try to operate it. The worse thing is to find out that your stand-by generator is malfunctioning when you need it the most, during a power outage or emergency situation. Regular cleaning and maintenance will ensure that your equipment runs properly and ensures a longer life span. A stand-by generator is a sophisicated piece of engineering that is constantly exposed to the outdoor elements. It is recommended that your stand-by generator be serviced and maintained by certified technician who are qualified to prevent most malfuctions from happening. Due to the dramatic and drastic changes in the weather as of late, it has become common place for home owners in Montclair, NJ to experience power outages. This has increased the awareness for the need of stand-by generators and it has increased the need for maintenance and repairs. 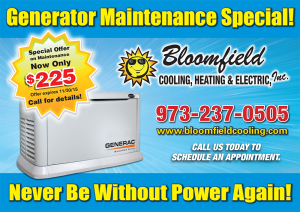 Call us at Bloomfield Cooling, Heating and Electric if you are considering the purchase of new generator or if you need maintenance or repair on your existing stand-by generator in Montclair, NJ. We have been working in the Montclair, NJ area since 1987. Do not invite a stanger into you home, invite a neighbor. Call Bloomfield Cooling.The experts recognized by “Angie’s List” and Suburban Essex Magazine “Best of Essex” time and time again. 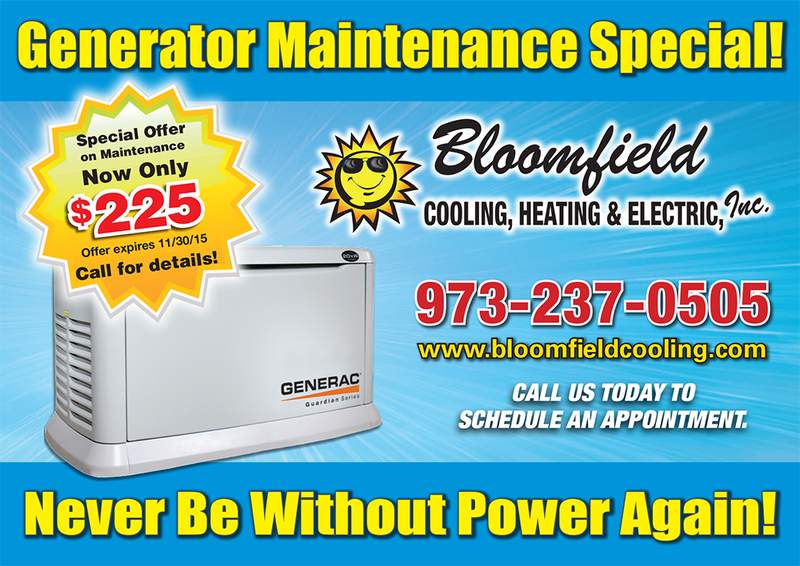 We carry and recommend Generac stand-by generators. At Bloomfield Cooling and Heating we provide free in home evaluations and quotes. Every home is unique and has different powering requirements. 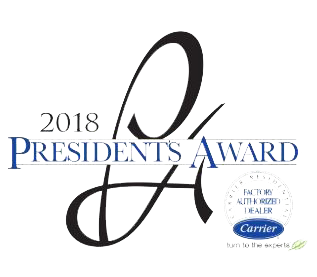 Invest wisely, by making an educated decision on your generator purchase by partnering with the services of a certified professional at Bloomfield Cooling, Heating and Electric, Inc. They will ensure that you get the best generator for your home, providing the required power you will need to keep your home running in the event of a power outage. The cost that you pay for stand-by generator will be directly dependent on the size and the power generating ability of the equipment. There are many companies that offer the maintenance and repairs of generator service in NJ. Bloomfield Cooling and Heating has service the Montclair, NJ area since 1987. A family owned and operated business. Contact Bloomfield Cooling, Heating and Electric, Inc., your neighbor, never a stanger, to see what our certified professionals recommend for your specific needs.